Coming from Mexico licuados are a really big part of my history. I have shared before how my abuelita had a puesto in front of her home in Guadalajara and how she made fresh licuados and jugos naturales for a living. My grandmother did this till the day she passed away. For my sisters and I, licuados are one of the few things that take us back to those years we lived there before moving here forever. Just the taste of a licuado de platano con chocolate can take me back to being 5 and those short months we got to live by her. So for sure you can bet that my sisters and I can make a mean smoothie, and it's always my go-to when I need a fast but nutritious in-between meal for my little girl. My Sammy, she is one picky eater, so I have to look for ways to get nutrients into her little body. I swear if she could live off Cheetos she would, but that is NOT going to happen in my house. Instead I look for ways to get protein, fresh fruits and whole grains into her diet. Today I am harnessing the power of milk and Quaker in a recipe my picky child actually loves! Both milk and Quaker provide essential nutrients both adults and children need so why not incorporate them both at once? I can think of so many ways to do so, but this smoothie recipe really is a winner in our house and one of my favorites, so it is the one I am sharing today. Fifteen minutes is all you need to prepare this wholesome snack or mini-meal! 1. Mix all ingredients in a blender until smooth and creamy consistency. Serve immediately. Voila! In less than 15 minutes I have prepared a favorite in my household and little Miss Sammy has no idea that she is even getting a nice little portion of whole grains. This quick meal will allow us to come home and quickly enjoy something before setting off on to the next item on our to-do-list. Fall is an incredibly busy time of the year, there is always something we have to do next and now her little tummy is full until it's time for a full dinner. Thank goodness that all of my girls have always loved milk. It's such an integral part of any diet. Just look at the power of milk! I've always kept my family strong with delicious milk and recipes that incorporate it. I also love adding Quaker oats to double-team even more precious nutrients into their tummy's. My recipe today was actually inspired by one from their websites and you definitely need to stop by to see more recipes, nutritious tips and other info. 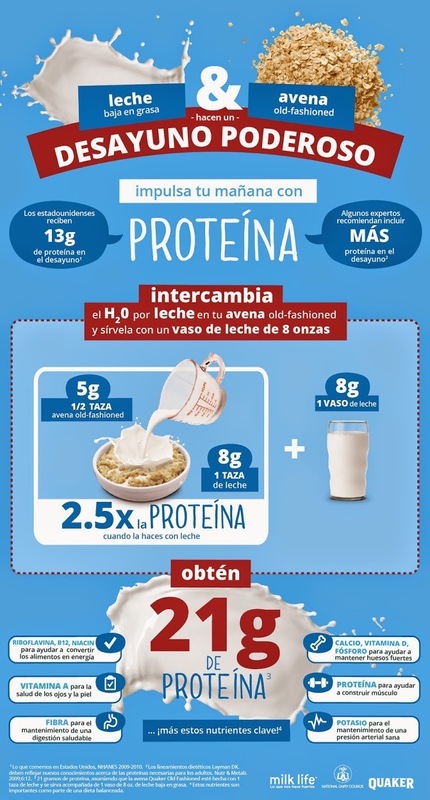 Fuertes Con Leche and Quaker Oats online. 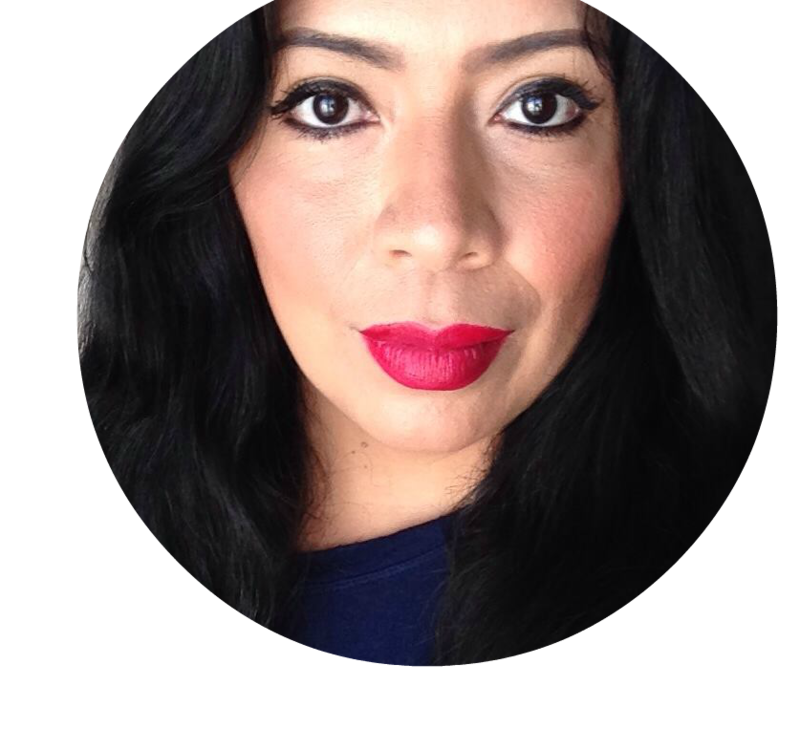 Make sure to follow the #HerenciaLeche 30-day photo challenge for Hispanic Heritage Month. Please share a traditional milk based recipe or tell me how you incorporate milk and oats into your families diet.